As Your CELLS DIE OFF, Your SKIN BECOMES PAPER THIN, HAIR LOSS and/or THINNING OCCURS. BONES BECOME BRITTLE. ARTERY and BRAIN PLAQUE FORMS, CAUSING HEART DISEASE and MEMORY LOSS. YOUR CIRCULATORY SYSTEM CALCIFIES and HARDENS, ORGANS and IMMUNITY BEGIN TO FAIL, VISION DIMS, HEARING IS LOST, etc. 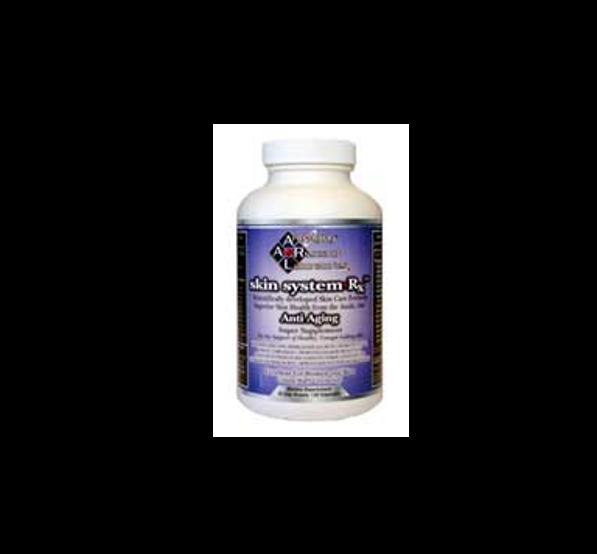 You May DEFER THIS BY BUFFERING STRESS with potent ANTI-OXIDANT PROTECTION along with the HORMONE & pH BALANCING Potential of Our Life Extension System Rx. Meanwhile, begin to REMOVE STRESS CAUSING TOXINS AND HEAVY METALS from Your Body along with BlockBusterX. Otherwise, IF IGNORED, Accelerated CHRONIC DISEASE, AGING, BIOLOGICAL BREAK-DOWN, & LOSS OF IMMUNITY (CANCER) RAPIDLY OCCURS. At AntiAging Research, We practice a *Scientifically Proven way to POTENTIALLY DEFER THIS: HAM'S MEDIUM is a *Proven Process toPotentially extend Cell Division and Your Quality of Life Span™ up to 20%. We Carefully Researched, Maximum Bio-availability and ENGINEERED THE HAM'S MEDIUM NUTRIENT REQUIREMENT OF YOUR CELLS into the LIFE EXTENSION SYSTEM RX & SKIN SYSTEM RX while we Focused on REMOVING STRESSORS & TOXINS with BLOCKBUSTERx. *In vitro research showed that human somatic cells deferred division (mitosis) as much as 20%. The antioxidant and balancing potential of our, Life Extension System Rx AntiAging Power 5-pac is a powerful, intelligently designed combination of Growth Hormone enhancing, cellular fortifying and cleansing neuropeptide regulating and PH shifting nutraceuticals never before offered by anyone from any source. The Life Extension System Rx AntiAging Power 5-Pac is laboratory engineered to directly support cellular regeneration and DNA integrity by utilizing the essential framework of Ham's Medium, which establishes the nutrient requirements for optimum cellular regeneration. Add AEON 5000 oral spray, growth hormone enhancer and hormone stabilizer and SOMASTATIN to balance your hormones and immunity, and you will flood your body with a potent combination to achieve the potential of living in biostasis and Ham's Medium to optimize your wellbeing and to ensure your Quality of LifeSpan. Exclusively from AARL, the Life Extension System Rx AntiAging Power 5-Pac includes five (5) uniquely formulated products that will powerfully enhance your AntiAging efforts and directly maximize your personal Growth Hormone therapy. Our Life Extension System Rx supplies a strong synergistic action when used with our AEON oral spray growth hormone enhancer and hormone stabilizer. In order to maintain optimum health and efficient cellular regeneration, all living things need an unceasing supply of energy and nutrient materials. One useful way to discover the nutritional needs of cells is to attempt to culture them in the laboratory (in vitro). We shall examine the ingredients needed in the nutrient medium for culturing human cells. As the following lists shows, the human body requires carbohydrates, proteins, DNA, and RNA and many other substances from which they assemble cell membranes, ribosomes, mitochondria and so on to create every cell structure in one’s body. NH4Cl and MgSO4 supply the nitrogen and sulfur atoms needed to synthesize proteins. Na2HPO4 and KH2PO4 supply the phosphorus atoms needed for nucleic acid synthesis (as well as being needed for the functioning of many proteins). These ingredients also supply the Na+, K+, Mg2+, and Cl- needed by the cell. CaCl2 supplies the needed Ca2+ ions. All these ingredients are dissolved in water and are taken up from this solution. This is the list of ingredients needed to grow human cells in culture (in vitro). All 20 of the amino acids from which proteins are synthesized; a purine (hypoxanthine) and a pyrimidine (thymidine) for the synthesis of nucleotides, and their polymers DNA and RNA; 2 precursors (choline and inositol) needed to synthesize some of the phospholipids in the cell; 8 vitamins, all of which serve as parts of co-enzymes; the co-enzyme lipoic acid; glucose as a source of energy and carbon atoms; the inorganic ions Na+, K+, Ca2+, Cu2+, Zn2+, and CO2+. Even when all of these ingredients have been mixed together, they still fail to grow (in vitro) unless some blood serum is added. Trace amounts of hormones in the serum and are seemingly critical. Why does a mammalian cell require such a complex broth compared to a cellular structure like simple E. coli? It is the price of multi-cellularity. A mammal is made up of hundreds of different cell types; each specialized to perform one or a few functions. All the many other functions of life - including the synthesis of many of the organic molecules it needs, it delegates to other cells. The extracellular fluid, derived from the blood, supplies it with these. Our Life Extension System Rx is scientifically designed to provide the primary context of Ham's medium and nourish the body with the nutrients it needs for proper mitotic function and therefore synthesize the other compounds necessary to complete efficient protein synthesis and cellular regeneration.